Indications: vitamin deficiency, deficiency states. Asthenia, anorexia, as an adjuvant in cardiocirculatory problems. 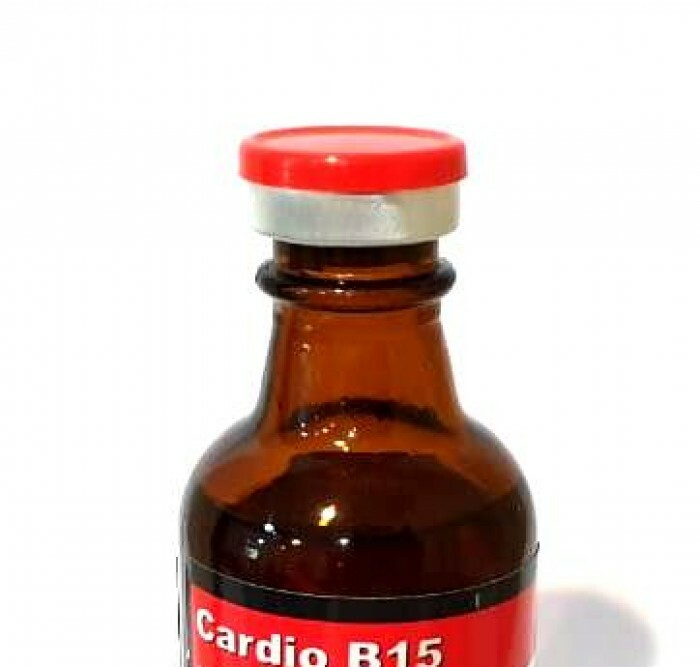 Coenzyme that increases resistance to neuromuscular fatigue. Integrates the total B complex to improve the sport performance of animals. Especially indicated in horses of high sports competition. Formula: every 100ml. 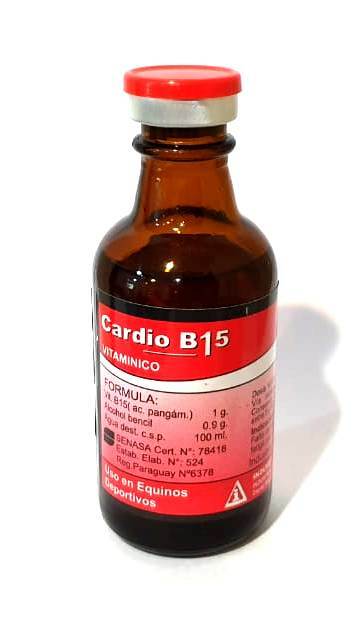 Pangámico Acid (vitamin B15) 1gr. Distilled water apirogena csp 100ml. Presentation: Glass bottle per 50ml.